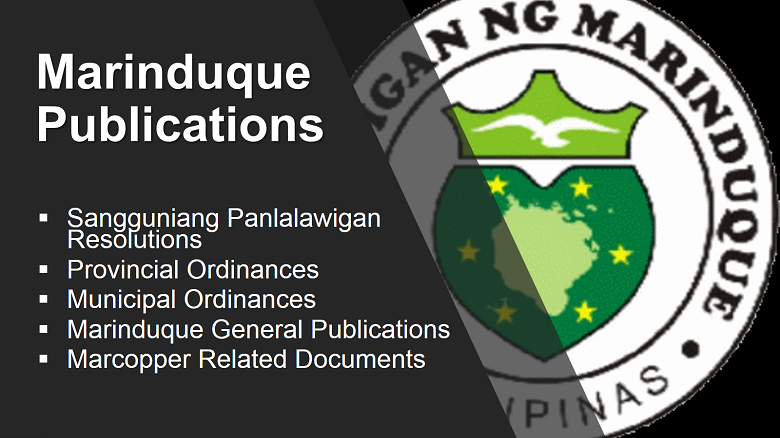 Collection of resolutions, ordinances and memorandum and executive order related to the island province of Marinduque. Downloadable copies are for reference purposes only and are not considered official records. These copies can't be used for official transactions. You may acquire official copies from the Sangguniang Panlalawigan or Municipal Secretariat for your official and legal transactions.